Tangram’s first residential phase of 192 apartments is nearly 100 percent sold out. 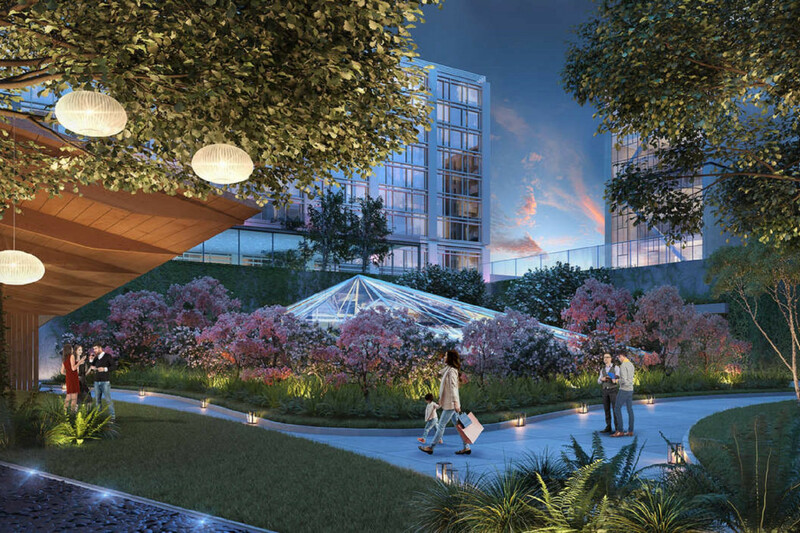 The complex is set to include a total of 320 residences, a hotel, 275,000 square feet of retail and a 34,000-square-foot Regal multiplex that will boast 4DX special effects technology. There’s only one rare rental space up for grabs — a 20,000-square-foot office block at F&T’s Queens Crossing. But it’s only available because F&T, which has its own offices there, plans to move them to the firm’s rising Tangram complex nearby.